Having a lush natural lawn to accentuate the beauty of a property is every owner’s dream. However, there are some very real costs, both financial and labor, to it that could prove to be challenging and difficult. Among the foremost concerns about maintaining a natural lawn is the fact that t is seasonal. Especially for areas that do experience extreme weather changes, it can render any and all efforts at maintenance to be futile at best. Unless you can guarantee dedicated care to the lawn, it’s just going to end up costing you more money than it should. Even if you hire someone to do it for you regularly, you’re still going to be spending for it just for its upkeep. Fortunately, there’s now a solution to have quality evergreen lawns, impervious to weather and seasonal changes. Artificial turf has been catching the attention of property owners in the past several years, and for very good reasons. Artificial turf is usually made of polyester or plastic. The “grass blades” are composed of polypropylene or nylon, which makes it strong and durable. Because of its composition, you can rest assured that even with heavy foot traffic or activity on it, the turf will remain intact. So if it’s always been your peeve having to deal with torn patches of grass, you’ll be glad to know you won’t have to deal with that with artificial turf. A good turf is only as good as its installation, though, which is why it’s crucial that you get professionals to do it for you. The task itself can be daunting, especially if you have a big-sized lawn or property. Most people mistakenly believe that installing artificial turf is as simple as rolling out the carpet; unfortunately, that is far from the actual case. Installing artificial turf entails a lot of steps and technical methods, from cleaning out the area of installation to removing grass and weed, and digging out soil beds to prepare for the foundation. Then it would have to be waterproofed to make sure that the moisture from the soil will not seep through the material, which could then affect its quality and smell, among others. The panels of turf would also have to be seamed together to give that perfectly mowed lawn look. This isn’t something that you should DIY as well, because improper seaming has some real consequences, not only to the aesthetics of the synthetic grass, but more importantly, the safety of those walking on it. If the seams are not properly done, panel sections could rise up, which can be trip and fall hazards. Then of course, the opening could very well cause the accumulation of dirt, debris, or even insects and other animals moving in, thus affecting its overall quality. All of these could be properly avoided though, if you let professionals do it for you. Once you have your artificial turf properly installed, you can go on and enjoy the benefits of making the switch from natural grass. First of all, you can enjoy more savings in terms of resources. As your lawn is now artificial, you won’t have to worry about using gallons of water every week just to make sure they are properly watered. You also won’t have to use fertilizers anymore, because there is no need to nourish the soil to facilitate the growth of the grass—there is no real grass to speak of. Then of course, you won’t have to exert effort mowing the lawn every weekends (or having to hire someone to do it for you). That’s not to say that artificial turf doesn’t need any cleaning or maintenance at all. Like anything else, you must give it proper care and attention too, especially if you want to make it last for longer and make the most out of your money’s worth. Fortunately, it’ll only need occasional washing just to get rid of the dust and debris. You’d want to do a more immediate cleaning to avoid stains, too, or if you use your artificial lawn as your pet’s area. The longer you leave out a stain, the harder it’s going to clean or wash off. You also should immediately take care of it too anyway, because otherwise it could start getting smelly, which is certainly going to dampen the aesthetic experience of your evergreen lawn. Green is healthy, so they say. This applies to artificial turf, too, because switching to this from natural lawn can help mitigate the triggering of allergies. If you regularly suffer from allergens, you might want to give artificial thought some serious thought. Because it is artificial, you won’t have to worry about the seeds and spores that could trigger your allergies. No more sneezing, wheezing, runny nose, and watery eyes—just an enjoyable day out on your pristine, green lawn. Aside from that, having that beautiful patch of green out on your lawn can definitely help in boosting your mood and relieving stress. This is scientifically founded, by the way, so you should definitely look into getting artificial turf to enjoy spring feels all year-round. This could very well help those who live in areas that are cold and dry, and are susceptible to seasonal affective disorder. It could also refresh the eyes after spending long hours in front of the TV or computer, thus resetting the mind frame. With this, you can get back to work shortly, better energized and rejuvenated. Coupled with a cool breeze and a fresh glass of juice and water, you could have a quick, relaxing break right in your own backyard. With all of this, it’s not difficult to see why many people have made the decision to give up natural lawns for artificial turf. It’s only a matter of getting it installed properly with help from professionals like Sunburst Landscaping, and you should be well on your way to enjoying your brand new lawn, no matter the season. Ask an Expert: Everything You Need to Know About Artificial Grass. Houzz.co.uk. 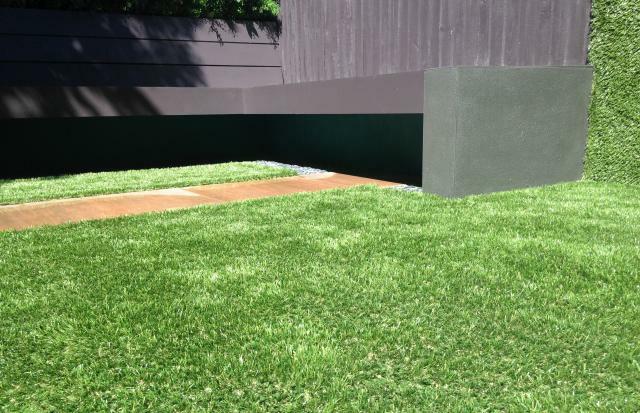 9 Advantages of Using Artificial Grass for Your Lawn. LifeHack.org.